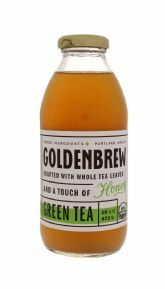 The premise behind Golden Brew Tea, which hails from Portland, OR, is to create microbrewed organic teas. Their attention to ingredient detail starts with using whole tea leaves rather than “fannings” (leftovers from higher grade tea) used by other tea brands.They also sweeten their products with either honey or agave. 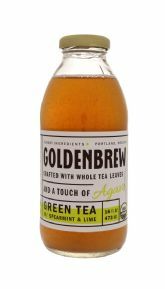 In addition to the teas, Golden Brew offers two Apple Cider Vinegar Tonics that don’t contain any tea at all. There are currently two varieties, Wildflower Honey & Cinnamon and Lemon Ginger Turmeric. 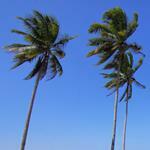 From our perspective, these are a whole lot more interesting and timely than the tea offerings. And their taste, which is light and refreshing with a slight vinegar tang, is really quite addictive. Of the two, we’re slightly more fond of the Lemon Ginger Turmeric, which, in addition to the vinegar flavor, has a pleasant citrus note and a slightly spicy finish. As for the teas, we sampled three varieties, including Black Tea with Honey, Green Tea with Honey, and Green Tea with Spearmint & Lime (sweetened with agave). The flavors are definitely top notch, with smooth, clean flavors in all three. 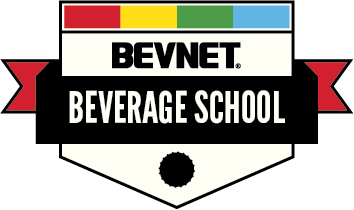 We’re most fond of the honey sweetened varieties as that sweetener makes for a natural flavor pairing that really doesn’t need anything else. Also, since the products are acidified with lemon juice rather than citric acid, they don’t have that overly acidic note at their finish that plagues many bottled teas. 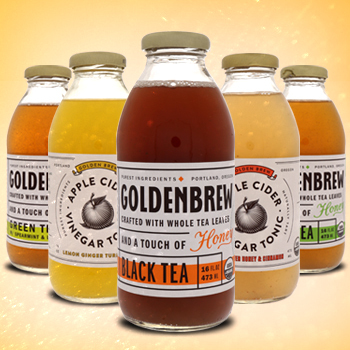 From a packaging and positioning perspective, both the teas and the apple cider vinegar drinks are well-designed and attractive. The tea flavors use a simple illustration that’s largely black and white with the exception of an accent color that’s used very sparingly. 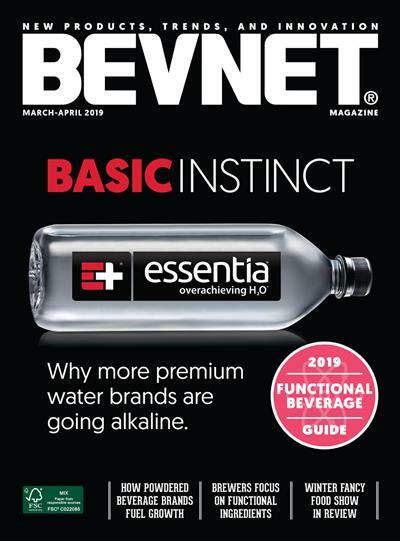 However, while they are pleasing to the eye, the readability of the products could be improved upon, especially in how they tie together the type of tea, the flavor, and the sweetener. 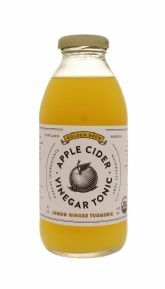 For the apple cider vinegar tonics, the circular arrangement of the text leaves a disconnect between “apple cider” and “vinegar tonic,” which, if glancing quickly, could lead one to see this as a juice rather than vinegar drink. In the end, here’s where we stand: the teas, which are well-executed and flavorful, offer innovation that’s only slightly better than what’s out there. 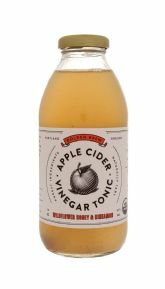 On the other hand, the apple cider vinegar tonics are something that’s more unique, trendy, and memorable. 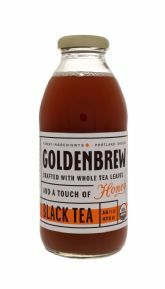 While we’re sure that these teas have what it takes to make consumers happy, the challenges of being a breakout tea brand probably demands a bit more.